Neerja continued its victory march into the second weekend as well. While the Film is a Hit and marching towards the Superhit status, quite a few records are being broken on the way. With 14.80 crore more coming in, the film now stands at the 50.12 crore, hence turning out to be Sonam Kapoor’s biggest solo success till date. In the process, the Ram Madhvani directed film has also crossed the Lifetime Collections of other Female Centric films like Heroine (44.25 crore) and Mardaani (36 crore) in 10 days flat. This is a remarkable win for the film and it is pretty much on the cards that Kahaani (59 crore) would be surpassed too before end of Week Two. 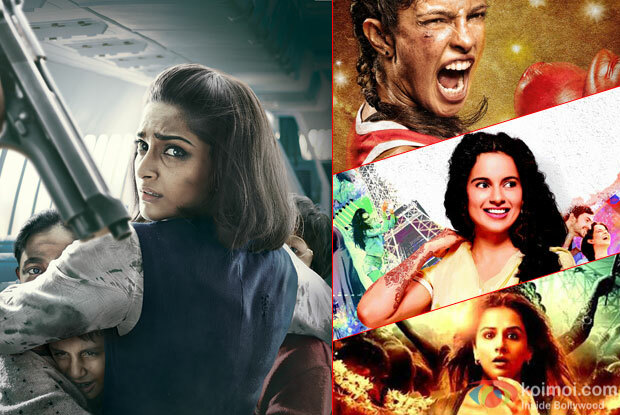 The way Neerja is currently performing, Fox can be assured that it would go past the lifetime collections of Kangana Ranaut’s Queen (61 crore) and Priyanka Chopra’s Mary Kom (64 crore) quite comfortably. That would leave only Deepika Padukone’s Piku (80 crore) at the top of the game, though it has to be mentioned that while it too is a female centric film, the presence of Amitabh Bachchan and Irrfan Khan lent further weight and credibility to it, hence making it much richer on the face value. As for Neerja, it has relied mainly on Sonam Kapoor from the star quotient perspective, and still done tremendously well.